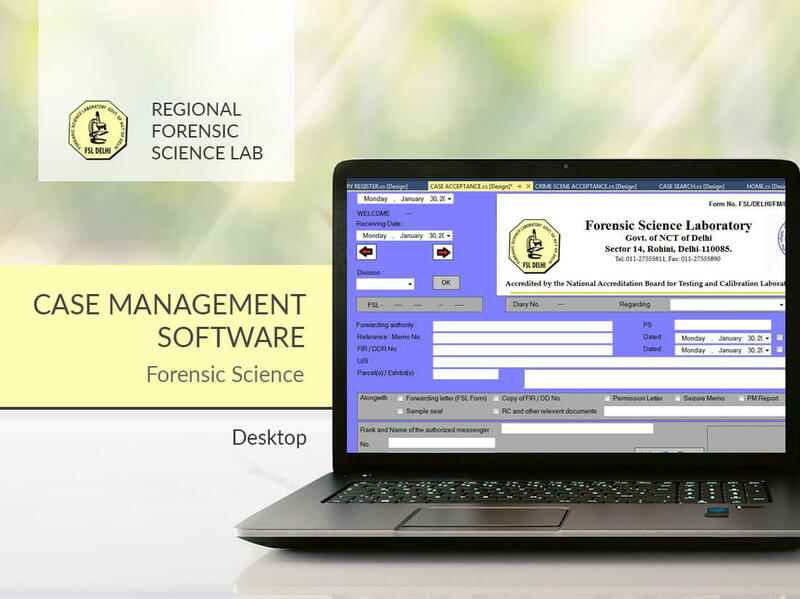 FSL Delhi intended to automate their manual case management process with the help of a cloud-based forensic case management system for its labs. We designed and developed a web application that can be accessed through a web browser on desktop/ mobile devices. The application is used for lifecycle management of all the exhibits, tests and evidence while utilizing working practices to aid timely analysis by multidisciplinary Govt. forensic labs.